I can't find the same items in their Rakuten store as their own site though? 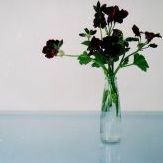 You can add the item to your cart in their store and add it to your regular Rakuten cart when you go on Global Rakuten. You should see the item in the past viewed items section. As long as you're logged in already when you do the first thing, you're good. The first pictures are through the rakuten.jp.gold site and the last few pictures are through the Global a Rakuten site. Hope this makes sense as Rakuten can confusing between the two sites! Appreciate that mate, thank you. 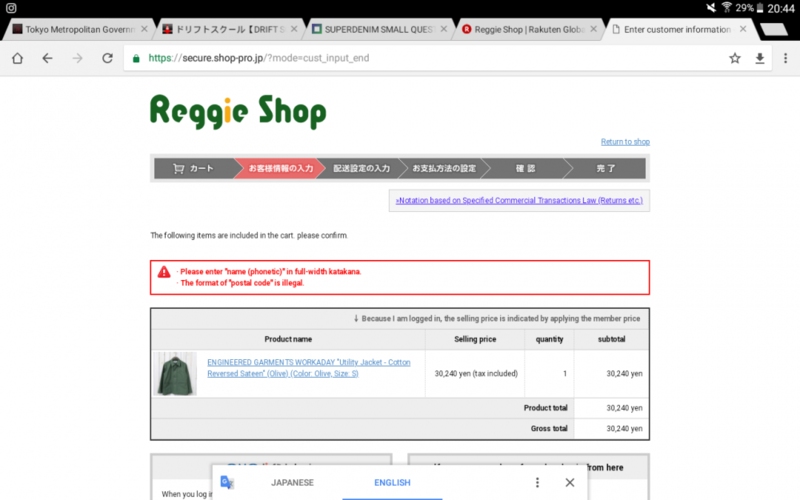 I'm logged in to both Reggieshop.com and Rakuten but still not seeing it in cart or recently viewed?? Can't seem to ship from their store either as I keep getting an error message about illegal post code and phonetics? Got the order through finally! Funny thing is I already own the jacket but sized wrong, when this one comes through I'll put the original one up on Grailed. Hmm...Use the Rakuten.ne.jp link I posted (the first link) and either complete the purchase through that using translator or just clicking the item through the same link but don't complete the purchase and then switch over to the global Rakuten (the second link) complete the purchase through that when you look at the Recently Viewed Items list and see the same item. Add it to th cart and complete the purchase through that. If that doesn't work through all of that while you're still logged in, then it might be a browser error or need to re-log into your Rakuten account. Sometimes Rakuten doesn't show Previously Viewed items in Global. Hope this helps. I was able to complete the purchase on my side. Glad it worked on your end! Sometimes I just bite the bullet and complete my order through the Rakuten.ne.jp site even though it's a pain when I'm in a hurry. The shop usually figures it out that you're a overseas buyer when they get the order in but they prefer you complete it through Global so it's easier for them omit the Prefecture address and long Phone Number submission. Just gotta remember to put USA/etc as the country of address or you may get a email from them stating they can't ship until you provide exact address. 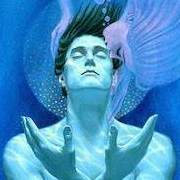 Global will translate for them automatically. Anybody on here have experience with Ben Davis products? More specifically the shirting. 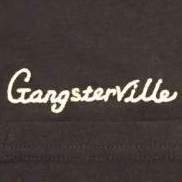 No experience with their shirts, but they definitely get good rep for being classic MiUSA, and are about as close as you can get to the originators of what would now be "streetwear". Also pretty sure the Davis family (if not Ben himself) was somehow instrumental in the early days of Levi's? Ben Davis was big during the Beastie Boys/Eazy E/ early Transworld skateboarding days. Their popularity dropped off here in USA but the brand is still popular in Japan I believe. Are the Soffe T-shirts any good? I read about them on a blog and these seem to be military grade & they retain their shape? 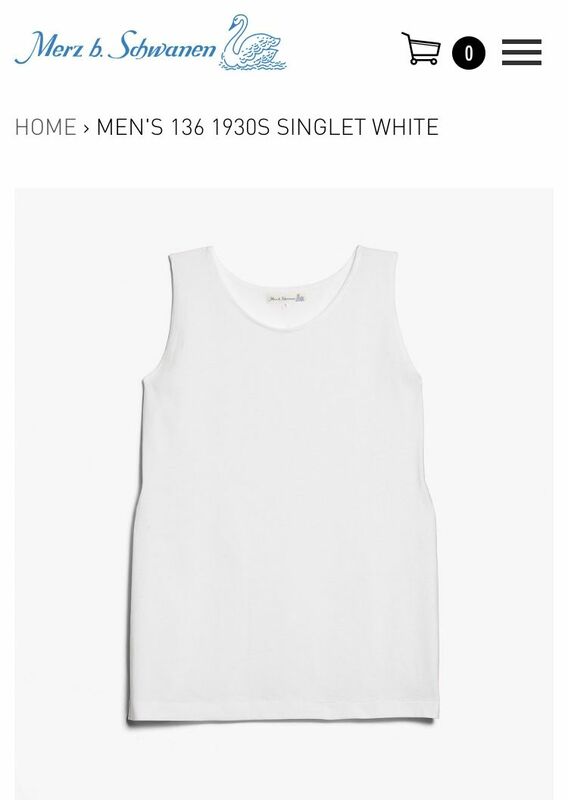 What's some other brands to source basic T-Shirts for daily summer use? I just purchased the Oni 622Aizumi from Denimio. 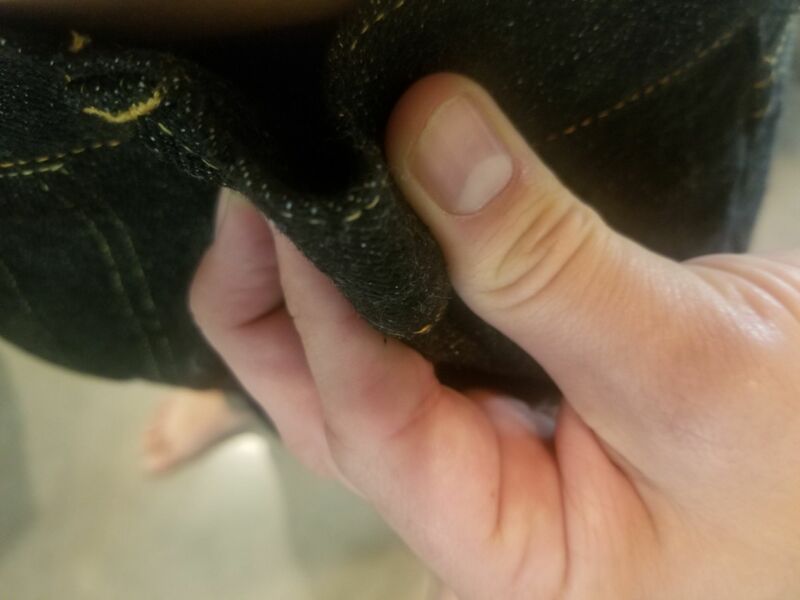 Raw in a size 32, which is one size down from the Oni 517xx that I've worn for the last two years. 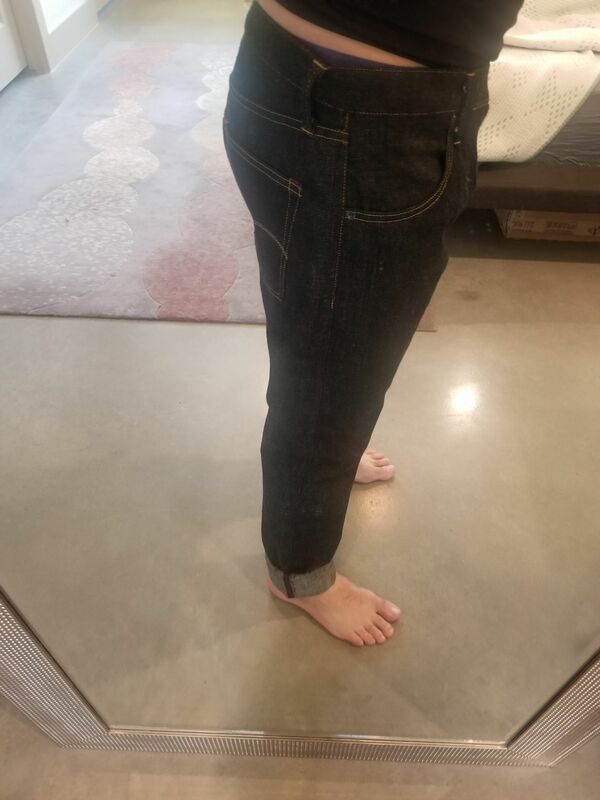 The 517xx fit a little on the large side in the waist, but great in the thighs. 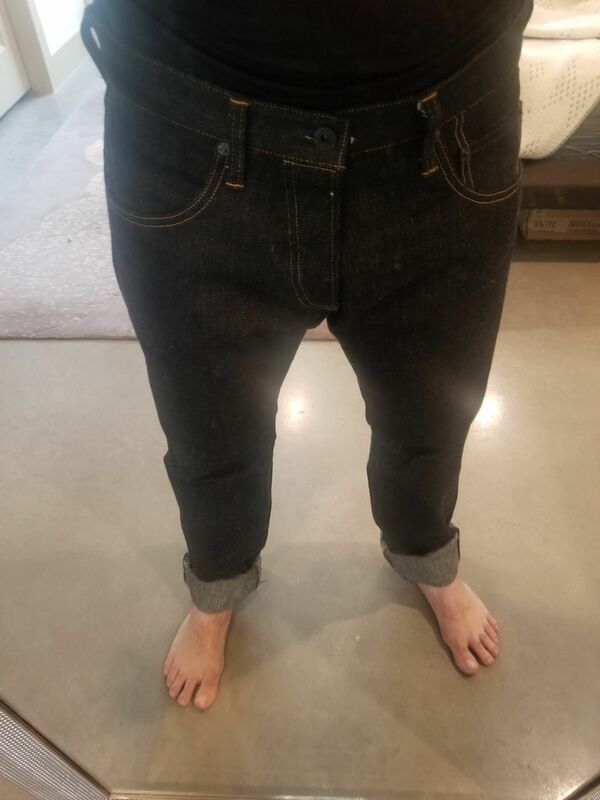 What do you guys think about the 622Aizumi fit pre-soak? I'm worried that they're too big, particularly in the waist. There is about 2" of extra fabric at the moment (pre-soak) and it's also bunching around the crotch. Perhaps this cut isn't for me? Did anybody here develop an obsession with the cinch? 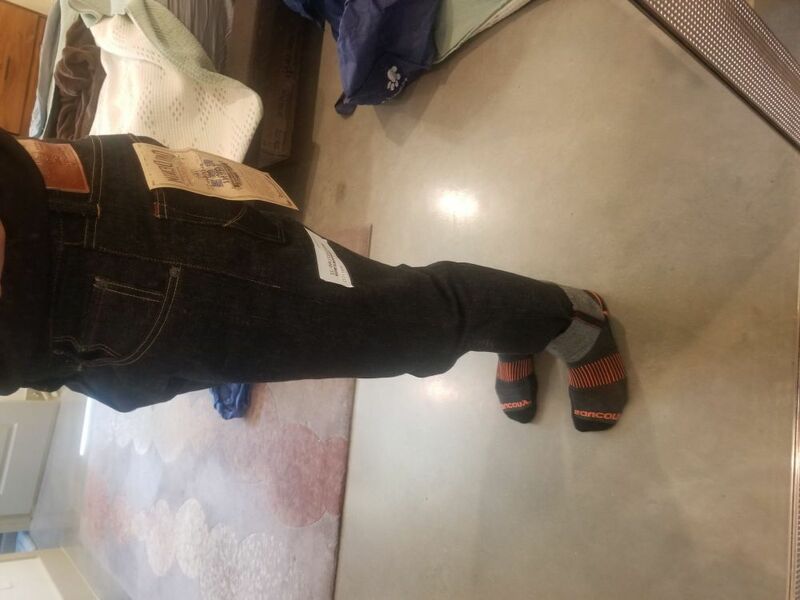 I am looking for a pair of Jeans with a Cinch that aren't too wide. LVC 1890 501 or any other good repros? JWJ and Companion come to mind as often using cinch-backs on slimmer or more-tapered fits. Lee is also a solid option. I’d say LVC 1915 rather than 1890, they are a more ‘modern’ fit (by 25 years!) and have 2 back pockets. I had a pair a few years back and really liked them, they had a reasonably slim-ish fit compared to the 40s/50s reprise I’ve worn. The 1922s (if you can still find a pair) are similar but have belt loops too. Does anybody else happen to know of a Sufu worthy brand offering this style “singlet” shirt? I like the Merz B ones but cant seem to find a size anywhere. What’s wrong with the one at a Walmart? Same thing that is wrong with the jeans at Walmart I suppose. Hahaha. You walked right into that one. Sorry mate. I was just joking. You 100% got me hahaha. Good job! Erik - it looks fine. As long as you’re going for a carrot look. I used to wear this type a while ago. ERIK, one of my favourite cuts in denim by a designer at Jack and Jones. 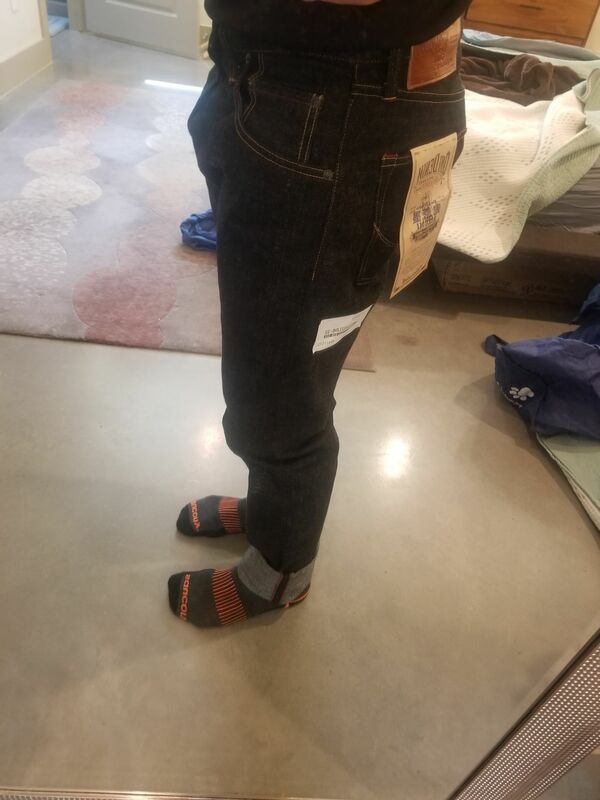 I know it’s not selvedge or raw denim. But the man created a fabulous cut. BTW, throw them in the washer and if that don’t it; the dryer will. How do you like them? If not, maybe Black Sign would have something. All - do you know where I could find a quality less-informal denim shirt, with either a BD collar or a moderately-spread one? Who offers denim repairs in Europe? Is Mr Handy still operating? I'm based in the UK and I'd like to avoid Denim Doctor if possible, having not been impressed by his previous repair efforts. Could try sending them to Second Sunrise in Stockholm. Have a look at their Instagram to see their repairs. Have we tried to put together a meet/event for Sufu denim lovers at a global level yet? I think we can shoot a short film if we get the right people on board. I m partly in that kinda business, hence checking. Some strangers in expensive jeans mingling awkwardly - who wouldn’t want to watch that?! Hahaha. I was thinking more like a documentary about raw denim, it’s heritage, people could talk about brands, we could even get some retailers to talk. anyway, parking the idea for now till I understand more about crowdfunding.